If you read all previous blog posts, you gained some comprehensive knowledge on how to load and handle images with Picasso. So far, we've always left the images untouched (except resizing and scaling to make it fit better). This week's blog post is all about manipulating the input image. Before we go to the advanced image transformations, there is one neat option you might need regularly: image rotation. Picasso has built-in support for rotating images and then displaying them. There are two options: simple and complex rotation. This would rotate the image by 90 degrees. Rotation is just a tiny portion of possible image manipulation techniques. Picasso is agnostic enough to allow any image manipulation with the generic Transformation interface. You can implement a Transformation with implementing one major method: transform(android.graphics.Bitmap source). This method takes a bitmap, and returns the transformed one. After you implemented your custom transformation, you can simply set it with transform(Transformation transformation) on your Picasso request. This will cause the image to be transformed before it'll be displayed. // Create another bitmap that will hold the results of the filter. // Load up an instance of the specific script that we want to use. This will blur the image before it'll be displayed in the target ImageView. Picasso also allows the parameter to be a list of Transformations: transform(List<? extends Transformation> transformations). That means you can apply a chain of transformations to the image. when creating a new bitmap, call .recycle() on the old input bitmap. Transformations can be very powerful. They enable you do compute any possible image manipulation and let you apply it to the image with a single line of code. This is the peak of Picasso's extensive functionality. If you made it until here, you should know all important Picasso functionalities regarding images. Next week, we'll take a closer look at the caching component of Picasso. Not an Expert Yet? Get Our Picasso Book! Nowadays apps need to be polished to be successful. Picasso offers an easy way to add images to your app without much hassle. 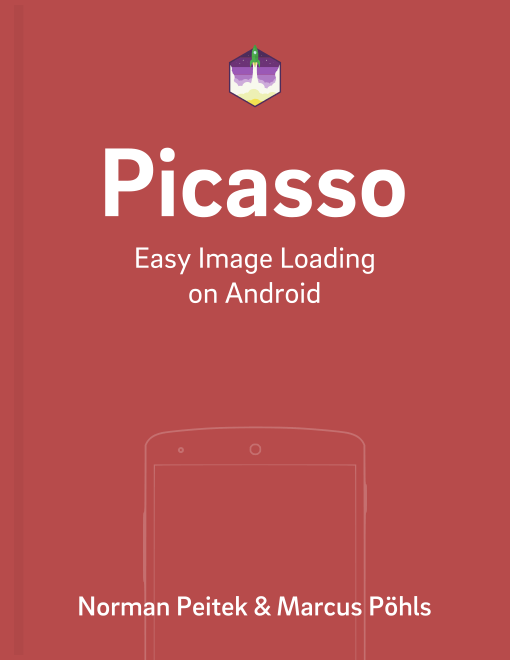 Learn how to create image-rich Android apps with our book on Picasso. You'll quickly know how handle images in your Android apps. Your users will thank you for this small investment in the app experience. Improve your app today and enjoy working with images on Android.